If you have been following Reddit at all about the conflict in Providence there is one name that keeps being mentioned. It has started to have a cult following. His stories read like an ancient Greek Epic. His passion reminds me of Don Quixote. His daring seems to match Inigo Montoya in the Princess Bride. What are these stories? The stories come that he is a man of humble origins in Providence Space. He was a neutral that enjoyed the protection of the Knights of Providence. However, then came the dark hordes of Pandemic Legion. So the man became a one-man wrecking ball of wrath and legend. “Let’s Do This!” followed by a one-man warping to the enemy forces. It did not matter the odds or the numbers. He attacked titans or even tried to solo Nightmares in a frigate. When defeated he always came back with the catchy phrase of “You have not heard the last of Lumio En Tilavine.” So he began to become famous with the players in and around Providence for his boldness and carefree play styles. When Pandemic Legion came, he started Yolo-ing into Pandemic Legion fleets taking out as many as he could before being destroyed. He kept his phrase as well of “You have not heard the last of Lumio En Tilavine.” His one-man war became legendary as he warped into a fleet battle between Pandemic Legion and Test forces. He went right into the heart of Pandemic Legion fighting with the ferocity of a Viking Berserker. So impressive was his fearlessness and bravado Test requested he join their fleets. Some people would ask how does Lumio put on his pants? He wrote a letter to Pandemic Legion and cohorts offering their unconditional surrender in one week to Lumio. If not then they would face the wrath of Lumio En Tiavine. His letter can be found here. While this alone would be a ballsy move, to say the least, it gets even better. I heard of reports that he soloed a Pandemic Legion Citadel and destroyed it. Now, most would thank this is unbelievable. Well, Lumio did it! Here is the proof of his adventure. https://zkillboard.com/kill/69148532/ Lumio came through with his promise. Pandemic Legion still had not vacated Providence so he destroyed their Raitaru. When I first met Lumio, he seemed very friendly, and he downplayed much of his exploits. When he first came to Eve, he watched youtube videos to learn how to play the game. From there he went into low sec to make money ratting with a Vexor. He immediately faced pirates in low sec that hunted him constantly. He developed a distaste for pirates here. So the cat and mouse game started. He kept at it stubbornly trying to make money with his Vexor. While he was hunted and killed many times. He never gave up. Finally, he asked why he couldn’t make as much isk as the youtube shows he watched and that is when he learned more about Null sec. People all around told him to venture into Providence. A place where players can be protected and allowed to rat and make money. So Lumio went into Providence and started at H6-CX8. This is where Lumio set up shop and ratted, mined, and built up by himself as a neutral in Providence. This is also where he came into contact with Honorable Third Party, a pirate group. They noticed the Presence of Lumio and always entered H6 looking for him. This upset Lumio and he wanted to fight back. He started equipping his Vexors for war as well. He did not want to be an easy kill and wanted to fight back. Over time people started giving him tips and hints about fighting. He started bringing PVP ships from Empire to Providence. About 70% of the time the shipments made it because Pirates would kill him trying to come into Providence. Finally, the day came where Lumio would fight back in a PVP geared ship. He promised himself that he would not run and hide again. That he had enough of running and he was going to face these pirates the next chance he got. So when a chance finally came, he undocked and went at the Pirates in his PVP ship. It looked like he was going to have his first PVP win and then they cynoed in multiple ships to save the beleaguered pirate. Lumio always considers himself a happy gamer. A happy-go-lucky guy but at that moment he was upset. This was supposed to be the time in which he fought back against the Pirate menace and won. So in a hurry, he typed out his catchphrase. Thus the legend was born. For Lumio he does not want to be another nameless kill for the pirates. He wanted them to know that he would return. That by killing him you have just made a grave error and he would return. Again and again, he will return until you are destroyed. To Lumio his name is itself. The enemy needs to know that he wasn’t just another target. That Lumio was different. So he started giving out the last shout before dying. Then people started telling Lumio to start saving money. That hard times were going to come to Providence. So he ratted and mined and saved up as much as he could. Then he started seeing Pandemic Legion. It was a testament to the defenders of Providence that he didn’t know the war had begun until about 3 months into the conflict. When the Forces of Providence pulled out, and the neutrals of Providence were left to the mercies of the hosts of Pandemic Legion. Lumio figured that someone needed to do something about Pandemic Legion. He couldn’t just have them flying over Providence doing whatever they wanted. So when he saw a Pandemic Legion Nightmare on a gate he attacked it. Using Tristons, Vexors, and Dominixes. He lost about 6-10 ships on him. So he started fighting the Higher than Everest guys a lot. Lumio said he couldn’t let them just think we rolled over and died. So he fought them all the time. Finally, they started to know of Lumio. PL and allies would come to his system to call him out. So Lumio would always undock and fight them. Eventually, they started giving him tips as well as fits. They started telling Lumio how he could be better at PVP. During these times Lumio lived in CVA and Apocalypse Now structures. This was also when he started facing off against Purple Helmeted Warriors. Lumio found some industry ships from Pandemic Legion. However, he is against attacking industry ships on the bases of honor. He did see a Pandemic Legion Raitaru. He instantly wanted that kill. He started doing research on different fits that could work. He did the math and after 20 attempts he finally was able to kill their Raitaru. When Providence finally appeared to be dead, and Lumio couldn’t find Pandemic Legion or HTP forces he started venturing out into Catch to fight there. He had the same results losing many ships. However, he noticed a difference. Brave and Test pilots began helping him after killing him. Telling him not to just charge in but orbit. Or helping him with fits. The residents of Legacy and Lumio developed a mutual respect for each other. He said that Test and Brave didn’t just tease him but respected what he was doing. Lumio felt they (Legacy) have a good community of people he remarked. When Test and Brave started to come into Providence, they asked him to join their fleets. In which he accepted and went into Providence in the initial re-conquest of Providence. When the TEST and Brave forces noticed he was attempting to entoss systems from Pandemic Legion, they informed him he needed an alliance. So they helped Lumio form his own Alliance. They even promised to help capture his own system. However, Lumio being the person that went alone and claimed his own system by himself. 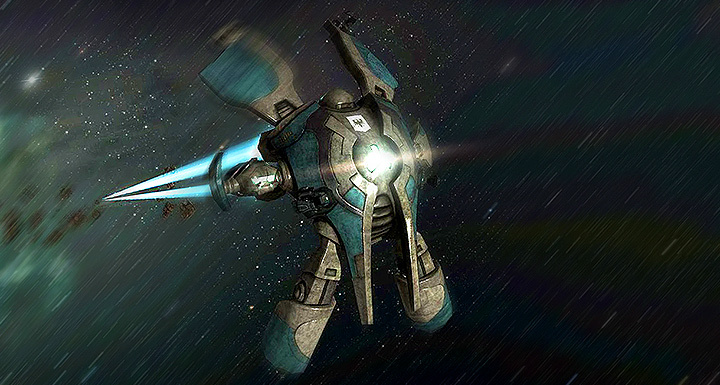 His carefree game styles have allowed him to do almost the impossible from single-handedly destroying a Raitaru deep inside enemy territory to taking his own system by himself. As you hear his story, you can see that he has grown over time through PVP. Not only has he gained the respect of the People of Providence but that as well as enemies and frienemies. He has earned their respect as well by his daring and bravery. He becomes a better pilot from each takeaway and grows as a player. Just listening to his story is inspirational for any pilot. I truly believe we all have not heard the last of Lumio en Tilavine. Some of Lumio’s exploits can be found here. Great post. I was checking continuously this blog and I’m impressed! Extremely useful information specially the last part 🙂 I care for such info much. I was seeking this particular information for a very long time. Thank you and good luck. Exactly how do you find various blogs on Blog owner with keyword phrase or search? excellent issues altogether, you just gained a new reader. What may you recommend in regards to your submit that you simply made some days in the past? Any certain?